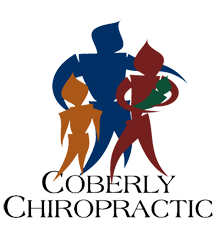 How Vitamin D Supports the Skeletal System – Coberly Chiropractic, Inc. The human body needs vitamin D in order to build strong muscles and bones. When the body does not get enough vitamin D, it is not able to absorb calcium effectively. This makes it very important for good bone health. Children who do not get adequate vitamin D develop rickets, a condition that causes weak bones, deformities in the skeleton, and a stooped posture. 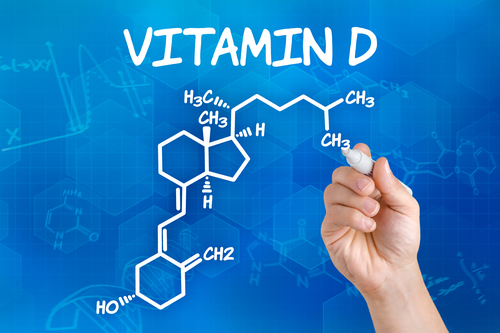 Most people believe that vitamin D is a vitamin; it isn’t. It is actually a hormone. A vitamin is a nutrient that the human body requires but is unable to produce. This means that it can only be obtained through supplements and food. However, the body is able to manufacture vitamin D. When the skin is exposed to the appropriate sunlight, the body begins a process that produces vitamin D. It should also be noted that vitamin D plays a part in a strong immune system and can prevent certain chronic diseases in older adults. There are supplements for people who do not produce enough vitamin D or who do not get adequate amounts in the food that they eat (fish liver oils, certain fish, and egg yolks are good sources). Children and adults typically do not get enough from their foods and activities. People spend a great deal of time indoors with adults at work and children at school. The emergence of digital devices and video games has managed to keep children inside as they engage in these activities. Vitamin D is not measured in milligrams like many other supplements, but in International Units (IU) instead. Research has caused the daily recommended allowance for vitamin D to increase over the years, and the current recommendation is 400 IU. It has been determined that this amount is the most beneficial in promoting healthy bones. The skeletal system has several functions. The first and most obvious is that it is the structural support for the body. It also protects vital organs. For instance, the skull protects the brain and the rib cage protects the lungs and heart. It is also an anchor point for muscle so it helps with mobility. The red bone marrow provides illness fighting white blood cells, as well as red blood cells. Calcium is stored in the marrow, as is phosphorous. Certain minerals and fats are stored in the yellow marrow which is found in the long bones of the body. Getting enough vitamin D helps the body absorb calcium which is a bone building mineral. In addition to that task, it also promotes good muscle health. Stronger muscles can work much more effectively in protecting the muscles and supporting the skeletal system. This can help with joint health as well. Older people who have adequate vitamin D do not fall down as often and people of all ages have fewer broken bones. Vitamin D deficiency is a serious condition mainly due to its essential role in the body’s ability to absorb calcium. Muscle weakness and bone pain are two common symptoms, but are typically seen in more severe cases. Vitamin D is generally very accessible. You can get it through foods and sunlight or via a supplement. People who may have some trouble getting adequate amounts are those who have limited exposure to sunlight, fail to consume the necessary levels of the vitamin, and people who have dark skin. If you think that you may have low vitamin D, it is best to talk to your doctor so you can come up with a plan to get your body back in balance.